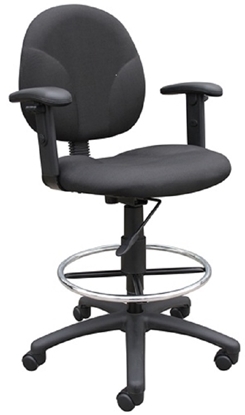 The Comet armless stacking office chair works well in a variety of settings. 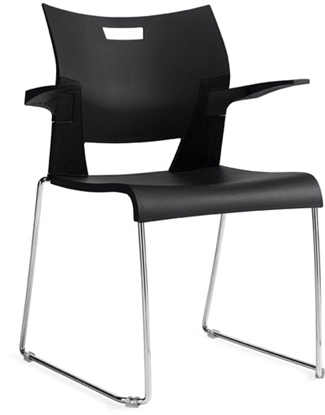 Use it for extra seating in a conference room, church hall or waiting room. Stacks neatly for easy storage or when cleaning your workspace. Warranty and free shipping on all discount furniture. 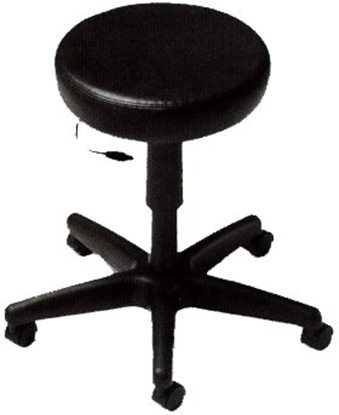 A medical/drafting stool from our large offering of office chairs. 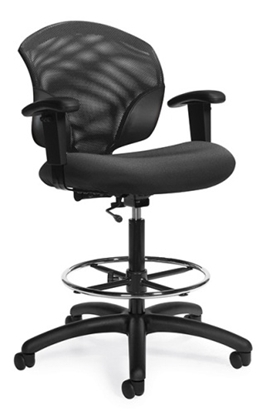 This Boss Office Chair features a contoured back and seat to provide support and help relieve back-strain. Free shipping is always available, all at a discount office furniture price. 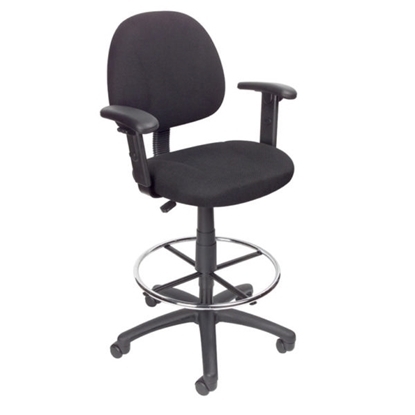 A height adjustable stool, the Boss office chair features a pneumatic lift for height adjustment, a contoured back and seat to relieve back strain. Perfect for a table top meeting space or office lounge. 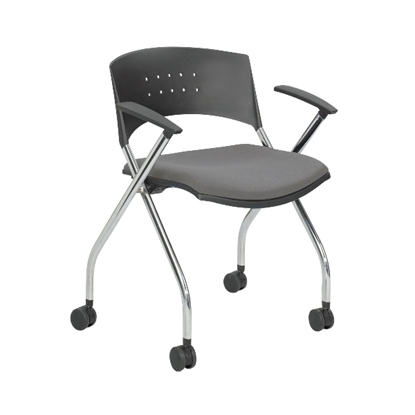 A modern looking armless stacking office chair, the Sonic has a durable seat and back. This chair includes chrome legs and stacks five high. 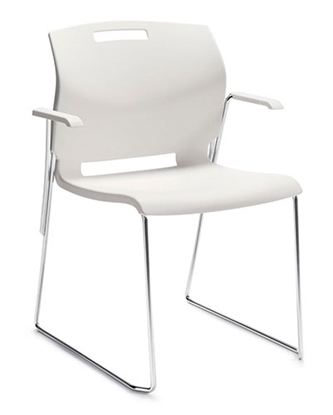 A great choice for multi-purpose, waiting and conference rooms. Available in Black, Blue, Burgundy and Grey polypropylene. 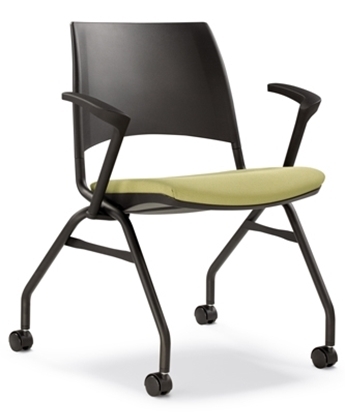 A versatile chair that can be used in any office setting from break rooms to multi-purpose rooms to event centers. This chair can be stacked up to 34 high on a wheeled dolly (see suggested items) to make them easily transportable allowing you to use them anywhere you need. 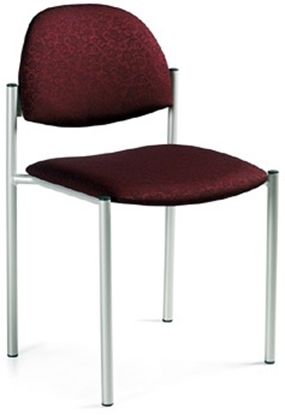 Available in ten (10) different colors, the Duet 6620 stacking chair with arms from Global can be stacked 10 high. This best selling stacking chair features a unique high density seat that is both comfortable and durable. The chrome steel rod frame is both durable and stylish. Order today and get free shipping! A handy mobile swivel stool, File Buddy is the comfortable solution for filing and other tasks that take you around the office. Get free shipping on all discount office chairs. 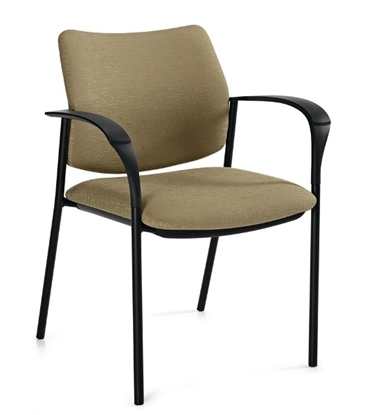 A transitional guest office chair with a sculptured look, featuring wide curved arms and a round tubular steel frame. 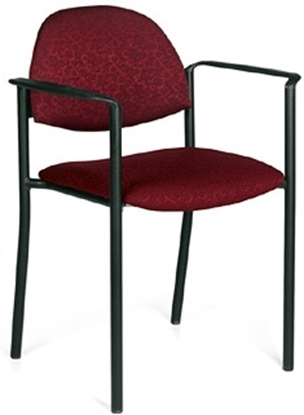 This guest chair has a compound curved back to provide comfort and support in multiple seating positions. Order now and get free shipping on all discount chairs! The Ciro stacking office chair is perfect fit for multi-purpose use and seating décor, providing superior comfort with its generous seat and upholstered high resilient foam, while its convenient nesting design makes it the ultimate space-saver. A simple solution to any space that needs extra seating that can be stored with ease. 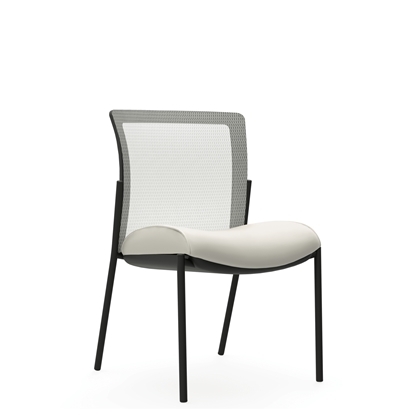 This mesh guest chair features a compact armless design and stacks 4 high for storage. The Ciro nesting guest chair is perfect fit for multi-purpose use and seating décor, providing superior comfort with its generous seat and upholstered high resilient foam, while its convenient nesting design makes it the ultimate space-saver. The Ciro stacking chair is perfect fit for multi-purpose use and seating décor, providing superior comfort with its generous seat and upholstered high resilient foam, while its convenient nesting design makes it the ultimate space-saver. Order today and get free shipping! The Ciro stacking office chair is perfect fit for multi-purpose use and seating décor, providing superior comfort with its generous seat and upholstered high resilient foam, while its convenient nesting design makes it the ultimate space-saver. Order today and get free shipping! Made for resting, designed for nesting. 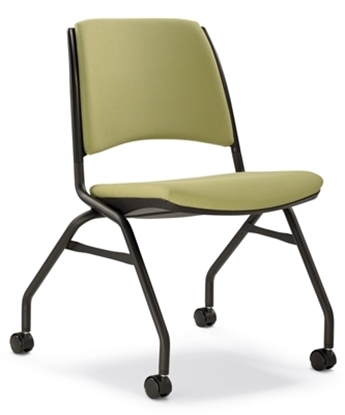 The ultimate seating crossbreed, xtc.® is both the name and description of this folding and nesting chair. The upholstered, contoured seat adds a comforting touch to such a versatile seating solution. NOTE: Price includes a pack of two (2) nesting chairs. One of our most comfortable series of mesh office chairs, the Tye 1922-6 features air-flow technology for exceptional breathability. This drafting chair is GreenGuard® certified eco-friendly and includes warranty. Order today and get free shipping! A compact folding office chair with arms designed for training purposes. 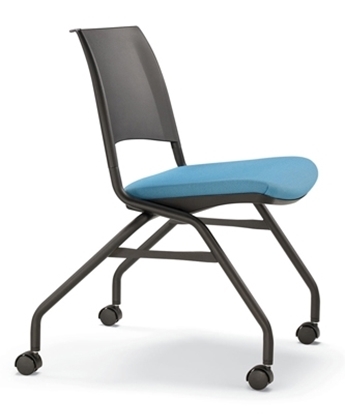 The Mayline TSH1 chairs are lightweight, flexible and comfortable. The seats flip allowing for compact and nested storage. The mesh back reclines for comfort. Mesh seat backs offered in various color variations: Black mesh, Orange mesh, and Red mesh with a black fabric seated cushion. 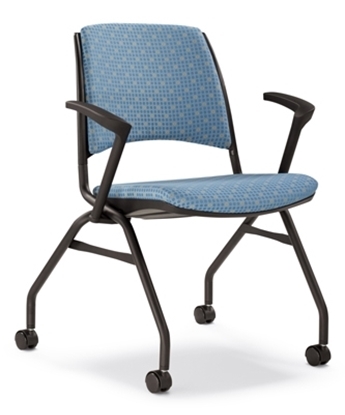 This comfortable, stylish and modern folding chair is perfect for training purposes and conference rooms. NOTE: Ships in a set of two (2) per box. Free Shipping!